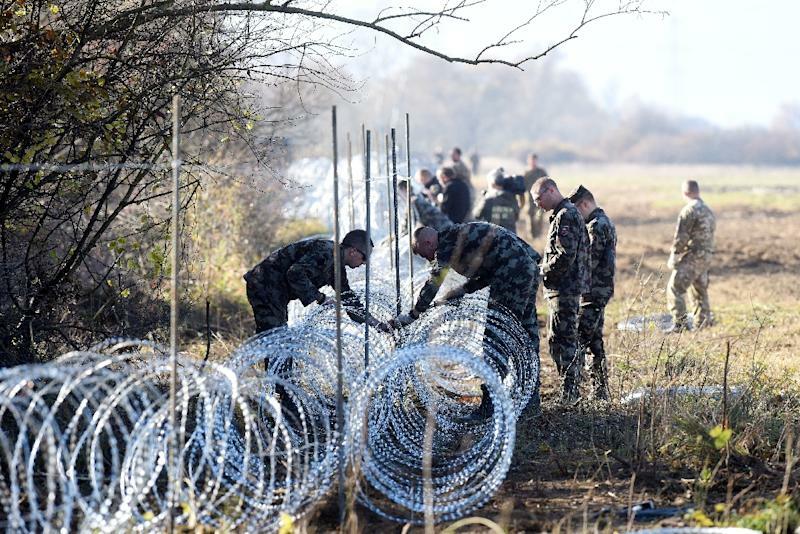 Zagreb (AFP) - A razor-wire fence rolled out by Slovenia on Croatia's border to block the path of migrants is seriously threating wildlife in the area, conservation group WWF warned Friday. The group's statement came a day after Croatia wrote to the European Union saying Slovenia's fence, erected along 137 kilometres (85 miles) of the frontier, presented an "insurmountable obstacle" to the migration of wild animals. "Nature does not recognise borders and cross-border habitats are extremely endangered" by the fence, said the head of the Zagreb-based WWF regional office, Martin Solar, in a statement. He said bears and wolves that live in and cross between Croatia and Slovenia were among the animals most threatened by the fence, while local hunters say deer have been killed by the spiky coils. European Union members Croatia and Slovenia are both lying on the main route for hundreds of thousands of refugees heading to northern Europe, but Slovenia last month started erecting a fence on its Croatian border to better control the influx. The wire "presents an insurmountable obstacle to the migration of wild native species" and "seriously affects everyday life of the local population", said Croatia's foreign minister Vesna Pusic in a letter to the European Commission on Thursday. She said the wire violated the EU's regulations on the preservation of wildlife and environmental protection. Hunters from the Vrbovsko region in western Croatia, near Slovenian border, told local media earlier this week that at least seven deer had died entangled in the fence while others had been badly wounded. Hunters and activists have also expressed concerns about deer injured by the razor-wire rolled out by Hungary along its Croatian and Serbian borders to keep out migrants earlier this year. The region around these borders is known for the richness and diversity of wildlife, such as red deer and wild boar, martens, otters and numerous fish and bird species. On Saturday, protests are due to be held at the Slovenian-Croatian border by local people and activists against the fence and the damage they say it is causing on both sides.